City Hall wanted eatery-lined laneways across the city, and it's getting them. 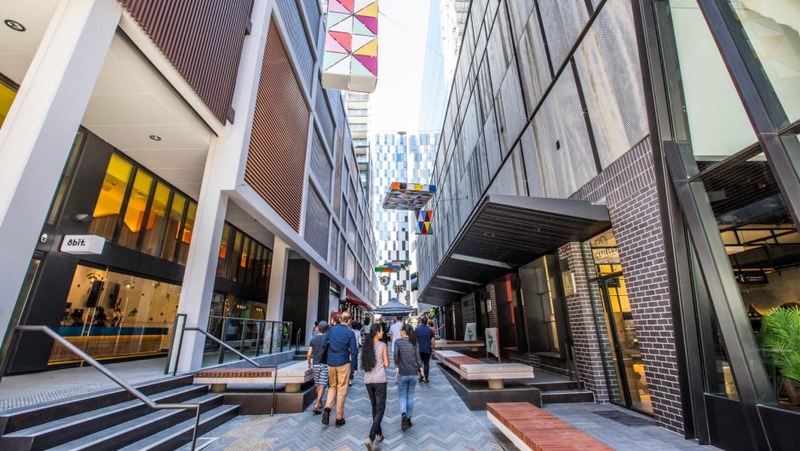 Sydney's newest eating strip opens this week, at Darling Square's Steam Mill Lane, sandwiched between Haymarket, the new Convention Centre and Paddy's Markets. Fishbowl, Belles Hot Chicken, Marrickville Pork Roll and the Sandwich Shop are all opening on the slick strip, as well as a Sydney branch of Melbourne's arcade-gaming burger chain, 8bit, home of the banana ketchup-topped Donkey Kong burger. There are a couple of venues chasing the peloton in regard to opening, with Edition Coffee Roasters still to launch and late signing Bang Bang Izakaya, also to follow. Bang Bang should be worth the wait, with chef Kokubo Yuji from the kitchen of Nobu Tokyo head-hunted to join the Darling Square start-up.